Tanjung Puting National Park is located in Central Kalimantan province, Indonesia. It has been an icon for world tourists who do love doing eco-tourism tour and directly watching the Orangutan’s life. Some of the forests in this area are nicely maintained and become one of the worlds’ lungs. If you do love adventuring in the open environment, you should visit this adorable forest. It is a place where you can directly see the amazing animals’ life in the wild world. It is the capital city of centre of Orangutan habitat on the earth and become one of the important places in the world for the conservation of primates, birds, reptiles and fish. Orangutan is the popular inhabitant in Tanjung Putting. There is a place named Camp Leakey, which was built since 1971 and became a centre where the orangutan conserved and observed. While, Tanguy Camp exclusively becomes the rehabilitation centre for orangutan which are ever being caught and took care of human. When we are in a forest, no other choice except walking on foot. It would be an extraordinary new experience. Walking through the dense of the trees, you should always be awake to watch the roam orangutans, monkeys, wild boars, birds and wild deer. When you stay in the river, you would wander using traditional boat called “Klotok” around the river to the orangutan conservation places that are Tanjung Harapan Pesalat, Tanguy Camp, or Camp Leakey. You can do various activities in the open environment in Tanjung Puting National Park. Sekonyer river is famous in its natural beauty and the animal life’s diversity. When we go through the river by Klotok boat, your attention would be inverted to the others amazing world. You can relax on the boat while seeing long-tailed monkeys and Bekantan are swinging on dense tree’s branches. Crocodiles, various birds and flying insects are often seen at the edge of the river. 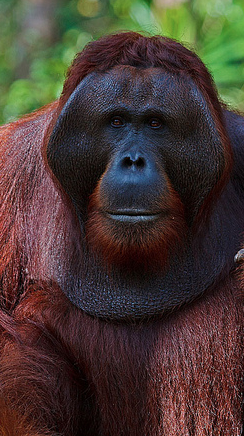 You also can watch closer and communicate directly with the life of orangutans as well learn more about how we can protect these endangered species. Sleeping on the Klotok boat is an extraordinary experience. So, many visitors sleep over in the boat during their visit to Tanjung Puting. If it is too wild, there is a choice to stay in Rimba Ecolodge that can be reached in almost 1 hour from the Kumai Harbour in Pangkalan Bun. Rimba Ecolodge is a resort in the middle of the forest. There is also limited choice to stay in a simple hotel and home-stay in the citizen’s houses.